Premier Portfolio Builder only take on a Maximum of 3 Clients Each Month, as The Properties We buy for our clients are sought after by many investors because they are the best deals in the area. We Buy the same types of properties, in the same areas, on the same streets as we personally own. If you’d like to speak to us and get more details simply fill in the Interest form Here to register your interest. Rest assured there is absolutely no obligation, this form is Purely for Interest Only. All matters discussed remain confidential, For your peace of mind we are ISO registered and comply with the Data Protection Act, therefore we are trusted to process private information and we keep all conversations 100% confidential. Each Service package We offer is tailored to your requirements. Step 1 - Confirm a totally personal and bespoke property investment plan for you. Step 2 - We Buy you heavily discounted properties. 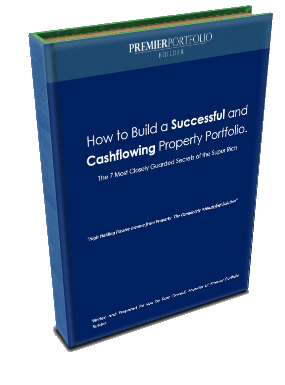 Step 5 - You receive cashflow directly, Equity and future growth are secured in your property. We manage the whole process, building a property portfolio that you can retire on, enjoying long term financial independence, Completely Handsfree. If You like what we do, and You can see that there is a match, and You would like to hear some more about what we can offer You, Please do get in touch by Clicking Here.